I guess by this point we have all heard about the workings of the law of attraction. What you hold as your predominant vibration will manifest in some way in your life. It is not as simple as 1+1=2; it is more like 1+1=3 because the universe will always put it’s little twist on it. And thank god for that, how boring life would be if you would imagine something and you would receive it in exactly that way! 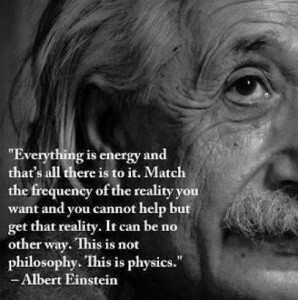 So it works like this; when you think about something with a lot of emotion and feeling, you will most likely attract a situation/person/place/thing similar to that vibrational frequency into your life. This is why we have sayings like “violence breeds violence” and “self-fulfilling prophecy”; we have from quite early on recognized that like attracts like. This is true whether it is positive or negative. Psychologists have claimed that the average human has more negative thoughts than positive; in fact as much as up to 70% negative thoughts. When your predominant vibration is mainly in the negative spectrum, then you will also attract experiences harmonizing with that vibration. This is also the reason why bad things happen to good people. The Secret’s model of the universe being like a order catalog, is a tad bit simplistic. If only it was so easy that all you had to do was to imagine it in your mind, and voila! there it is. But because of our subconscious which is like the submersed part of the iceberg, it is a force that can not be ignored in this context and has much more impact on our creations than we can even imagine. So if you don’t figure out what beliefs drive your subconscious, you won’t understand why you drift towards the situations that you do. If you harbor envy, resentment, jealousy, anger towards another, you will only perpetuate what those emotions will attract into your own life. 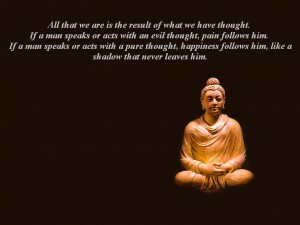 Like Buddha said, being at angry at someone is like holding a burning piece of coal to throw at them. In other words, it is just plain dumb. For example if you have a person who is resentful and angry at you because of some perceived glamorous and well to do lifestyle, then this person will probably just attract more hardship into his or her life. Even if they would turn around and every evening meticulously write down positive aspects of their day, in order to attract more abundance in their life, it would be unsuccessful because the main vibrational frequency is still one of envy and resentment. So even though we have good tools for turning around a negative thought pattern, one also has to be aware of how one interacts with other people on an emotional basis. Monitor your hidden feelings within you. They are your guide, don’t be afraid of them. When you feel dislike or anger towards someone, get to the bottom of it so you can dispel yourself of these secret energies taking your iceberg in a direction you really don’t want it to go. Are people doing things for you and you take them for granted instead of being grateful? Equally detrimental to the direction you are trying to move in. The LoA philosophy doesn’t care who you are or how you try to justify your behavior in the world of humans. It will strictly respond to your vibrational frequency and if that is riddled with all of these hard and difficult emotions, you can’t expect your life to be a breeze either. Also if your desires stem from these base emotions you will do well to reevaluate your desires. Are they coming from a place in your heart, a truly heart-felt desire, then you have a much stronger chance of manifesting it. But then we come back to the everlasting question “what does your heart want?” and how do you discern what is coming from your base emotions and what is coming from your heart. I feel the Hua Hu Ching says it perfectly: Every departure from the Tao contaminates one’s spirit. Anger is a departure, resistance a departure, self- absorption a departure. Over many lifetimes the burden of contaminations can become great. There is only one way to cleanse oneself of these contaminations, and that is to practice virtue. What is meant by this? To practice virtue is to selflessly offer assistance to others, giving without limitation one’s time, abilities, and possessions in service, whenever and wherever needed, without prejudice concerning the identity of those in need. If your willingness to give blessings is limited, so also is your ability to receive them. This is the subtle operation of the Tao. Now, lets say you have a pretty good grasp of what your subconscious desires are, and let’s say you have figured out a way of being able to influence your deeply embedded subconscious fears in a more positive direction. Let’s say you practice affirmations, meditation, gratitude and you work on your personal issues and really wish other people well, then you have good tools that will help to put you in a more positive state of mind. But if you still have problems manifesting your desires, it could be that you simply have not mastered the art of receiving.